When you have an asthma attack, you might not always cough. Other symptoms of asthma include shortness of breath and wheezing. Symptoms can vary in severity from person to person, and from attack to attack. The important thing is to control your asthma before you have an asthma attack. 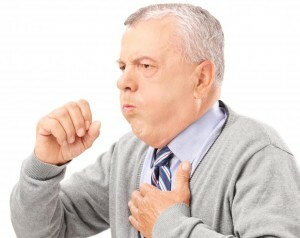 Asthma attacks can be very dangerous. When you are diagnosed with asthma, you will are prescribed a treatment plan. You need follow it closely. First, you need to be aware of what triggers your asthma symptoms. Allergens are everywhere. You should always try to figure out what causes your asthma attack in the first place. Take notes of what you were doing, and where you were. You can try to avoid suspected triggers. You should talk to your doctor about allergy testing. The results will help you put together an asthma treatment plan that will work for you. With successful management, you may be able to continue normal physical activities. You may also want to incorporate other complimentary therapies. Asthma treatment varies for each individual patient. It usually involves administering either aerosol or powder directly to your lungs. Inhaling your medication has fewer side effects than oral medication, which must travel through the blood stream. Inhaled medication also bypasses the liver. This helps avoid the possibility the medication will be broken down and less effective. Inhaled asthma treatments are broken down into two categories. Quick relief medications are used to ward of an asthma attack. Long-Term control medications help prevent an asthma attack. Quick Relief Medications are used at the first sign of an asthma attack. Salbutamol is a powerful bronchodilator which will immediately relax the smooth muscle in the bronchioles. Other relievers include Fenoterol, Ipratropium, Isoproterenol and Orciprenaline. These quickly allow you to catch a breath of air into your lungs. You use your reliever inhaler to gain control of your asthma as soon as possible. This can ward off a more severe attack. Usually Beta-agonists are enough to hold off an asthma attack. Sometimes this treatment needs to be followed with a nebuliser, which can release the drug more quickly. You can get this treatment at a hospital. If you have very severe asthma, you may need a portable one at home. Some people may need to be treated with systemic corticosteroids during a severe asthma attack. These are immediately injected into your blood stream. You need to continue to take the systemic corticosteroids in tablet form for a number of days following the attack. Prednisolone or cortisone can open up airways within minutes. This is a drug of last resort. Long lasting asthma medications are usually used every 12 hours to be effective. Long-term control medications target inflammation in your airways. You usually inhale it once in the morning, and again before bed. These drugs act to prevent asthma and relieve an attack once it starts. This can come in tablet form, but these will have side effects. It is rarely utilized because it also does not last as long. Managing asthma usually also involves monitoring your condition with a peak expiratory flow meter. If you need to use your quick relief drugs more often, your asthma may be slipping out of control You may be about to have an asthma attack if you get up in the middle of the night wheezing or short of breath. If you are more out of breath than normal after regular exercise, you may also be in need of asthma treatment. You should talk to your doctor about adjusting your dose. What types of medications are helpful to an asthma patient?